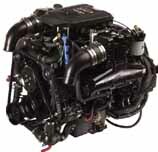 The key to trouble free boating is being sure your boat is properly serviced and ready to go before you go boating. Don't get left at the dock while eveyone else is out on the Lake having fun. Preventative Maintenance on your boat!